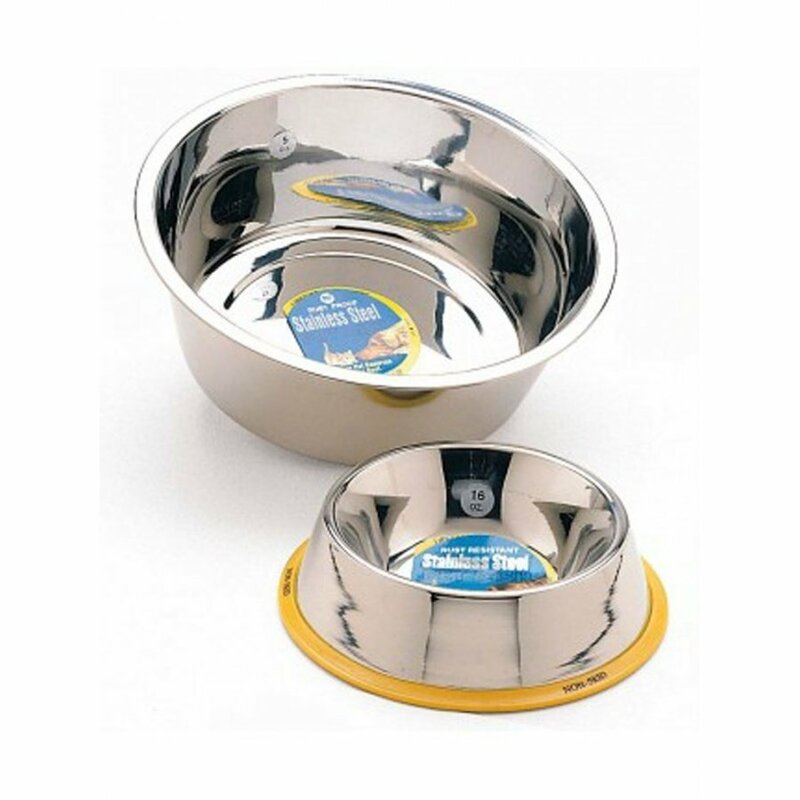 Durable stainless steel pet bowl for cats or dogs with a mirror finish that protects against rusting, cracking or pitting. Dishwasher-safe. Multiple Sizes. Lifetime Manufacturers Guarantee. Non-tip design saves from mess on the floor. 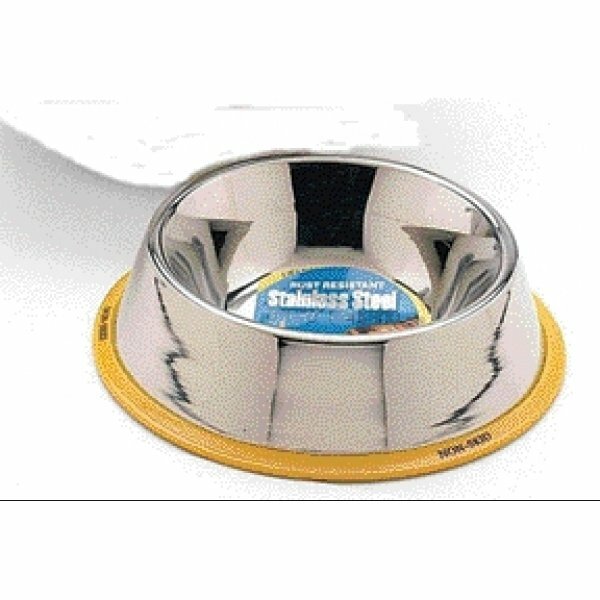 Stainless Steel Non-Tip Pet Dish has different options and/or variations, please choose below. Tired of having you dog or cat push the bowl all over the floor and spilling food and water everywhere? .. then you're ready for the No Tip No Spill bowls with a specially designed rubber grip to ensure a solid hold. Also this bowl is made of high quality mirror finish stainless steel to ensure a long lasting and good looking product. Durable stainless steel with a mirror finish that protects against rusting, cracking or pitting.